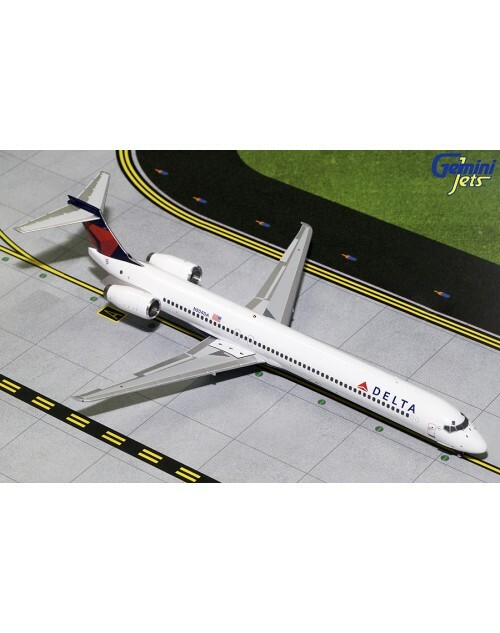 1/200 scale all die cast Gemini Jets Delta McDonnel Douglas MD-90 with current color scheme. Registration: N904DA, msn: 53384, line no: 2096. Item # G2DAL719. Released in August 2018. 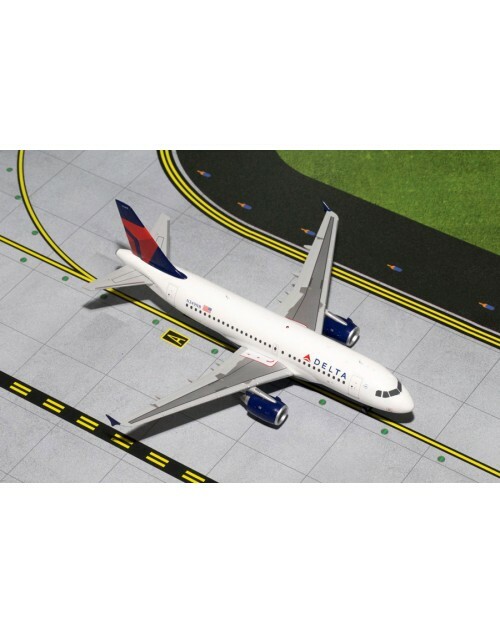 This is a highly detailed limited edition diecast model with metal landing gears and rubber tires. Markings are printed (not decalled). The sturdy yet elegant box, a collectible in its own right, features a unique snap closure on the front side panel. Gleaming gold type against a matte black background accompanies the model's picture on the box top. Stand included. Dimensions: Length: 9 1/4 inches (23.5 cms), wing span: 6 1/2 inches (16.5 cms).